Jessica* is the Managing Director of Strategic Planning at Lenczner Slaght. Jessica collaborates with the firm’s Management Committee, business function leads and various committees to build out and execute the firm’s strategic plan, facilitating a collaborative, cross-functional approach. She leads the firm’s client listening, innovation, process improvement, project management, pricing and business intelligence functions. Through the firm’s client listening program, Jessica identifies§ what clients need and want. She collaborates internally to ensure that the firm then delivers value‡ through pricing, legal service delivery and business processes. 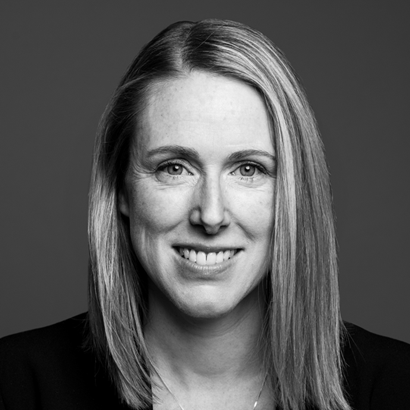 Jessica maintains value added services and all forms of communications aimed at raising awareness of the firm's unique expertise and differentiated position in the Canadian legal marketplace. .
is the Managing Director of Strategic Planning at Lenczner Slaght. Jessica collaborates with the firm’s Management Committee, business function leads and various committees to build out and execute the firm’s strategic plan, facilitating a collaborative, cross-functional approach. She leads the firm’s client listening, innovation, process improvement, project management, pricing and business intelligence functions. Before joining Lenczner Slaght, Jessica worked for nearly a decade at national law and accounting firms, progressing through a series of roles focused on providing value to clients and showcasing specific capabilities and services.